Confessionz of a Closet I Indian Fashion Bloggers I India Fashion Blog I Lifestyle Blog : Day 1 Highlights : "Rajasthan Fashion Week"
Day 1 Highlights : "Rajasthan Fashion Week"
"Rajasthan Fashion Week" started off with a BANG!! But I left Delhi the same day , morning. Journey to Jaiupr was Long, Tiring but Fun.. Nevidita from IANS was my company during the journey and my stay .. We reached our Hotel ,Fortune-Bella Casa,a little late, which is just 100 steps away from Marriot , which was the Venue for " Rajasthan Fashion Week " , Jaipur.. and unfortunately missed the inauguration and first show of Day! Vivek Oberoi was one of the Guest of Honor.. 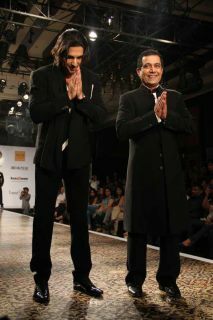 The first season of RFW 2012 got a fantastic opening by Ace Fashion Designer Kanwaljeet Singh. The designer highlighted classic retro trend of 80’s with great looking models. The Designer brought back the colors and culture of India through flowing drapes celebrating the different aspects of life. Head-gears done up in Red, black, neon and paprika made the collection very lively. 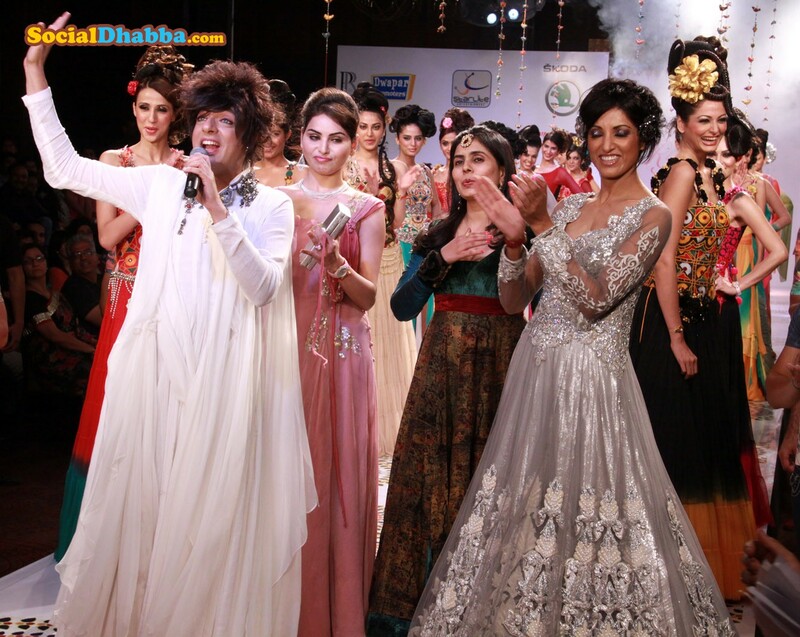 Vivek Oberoi was the show stopper for Kirti Rathore show. Kirti has been supporting an NGO “RAYS – Aasha Ki Ek Kiran” for the welfare of children who are HIV positive. The children walked along with Kirti and Vivek calling out for the much needed support for such children. Kainaz Motiwala who has done movies like Ragini MMS, Pathshaala, Wake Up Sid stopped the show for Daniel( the designer..), this collection was very Boho and simple.. he played with organic fabric and earthy colors.. total treat for eyes.. one of my favorite shows of the day..
Showcase by Shaahid Amir and Zaid Khan , the Show stopper of the Show..
Showcase by Shaahid Amir with Rakesh Bapat, the popular TV Star.. 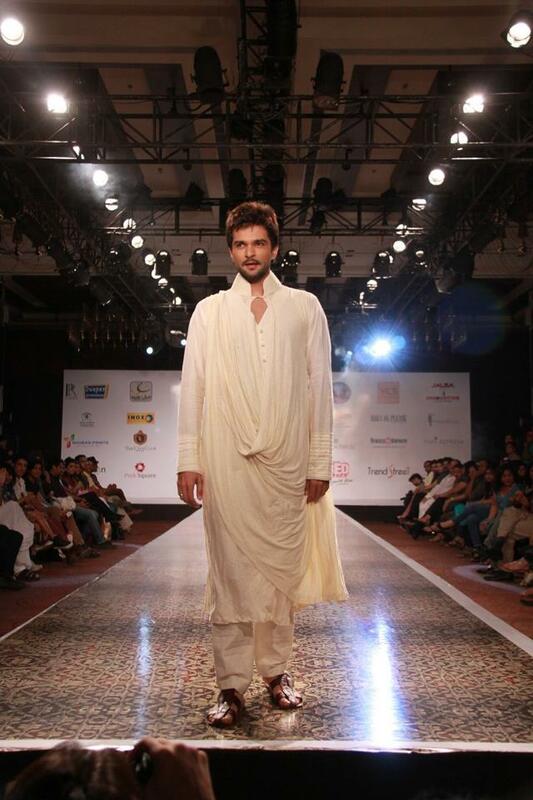 The Finale Show-by Rohit Verma.. His Collection was fun and show was full of Drama.. just so Rohit.. !! Stay tuned for more updates.. and few amazing outfit posts.. from the Week.. Fashion Week"" < Liked it! you've hit the nail on the head. The issue is something which too few men and women are speaking intelligently about. I am very happy that I stumbled across this in my hunt for something regarding this. Hi there to all, it's actually a nice for me to visit this web site, it contains useful Information. Outfit Of The Day2 at Rajasthan Fashion Week..!! Highlights of Day 2: Rajasthan Fashion Week..